Trophy size trout still swim in our rivers and streams, moose, elk and deer continue to graze on our plains and mountains, just as they did when Indian tribes hunted and fished here. 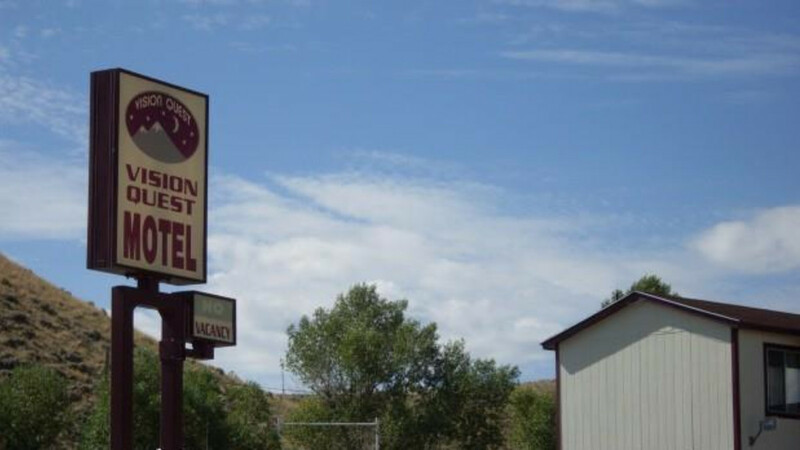 Situated on a rise overlooking the fabled Greybull River valley, Vision Quest Motel offers the best of both centuries:the gateway to the real West as it caters to your comfort in the twenty first century. See the country where the cattle barons once ruled and how they would envy the cozy cosseting Vision Quest Motel provides for today's traveler. This is not some artificial theme park. This is the genuine West, still today as it was yesterday, where you can see deer and antelope at play, cattle grazing and eagles soaring. It's all here for a night's rest or a week's exploring.